Large size professional table, ideal for Bobath therapy procedures, one single section, 100 cm wide. Large size professional table, ideal for Bobath therapy procedures, one single section, 100 cm wide, safe load 250 kg. Large size professional table, ideal for Bobath therapy procedures, one single section, 120 cm wide. Large size professional table, ideal for Bobath therapy procedures, one single section divided into two segments, 150 cm wide, safe load 250 kg. Large size professional table, ideal for Bobath therapy procedures, one single section divided into two segments, 200 cm wide, safe load 250 kg. 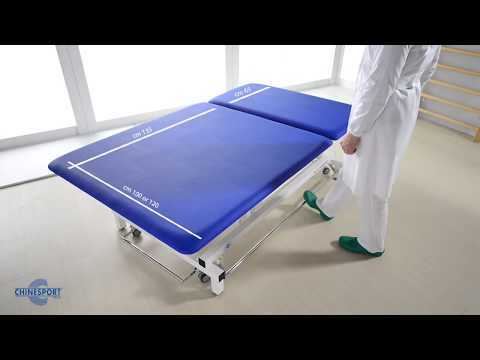 Large size professional table, ideal for Bobath therapy procedures, two 100 cm wide sections. Safe working load kg 150. 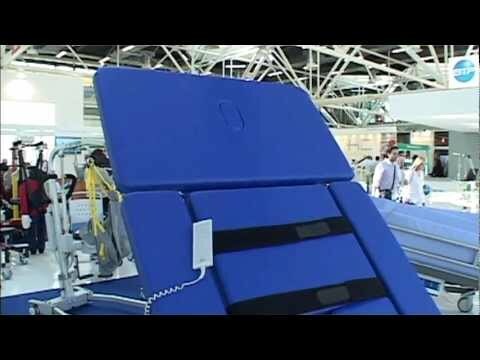 Treatment table designed for Continued Intensive Rehabilitation (R.I.C.) method. The head section can be adjusted to a positive angle, in the middle up to 90 degrees. Large size professional table, ideal for Bobath therapy procedures. Two 100 cm wide sections. Adjustable head section with breathing hole. Large size professional table, ideal for Bobath therapy procedures, two 100 cm wide sections and three movable sections. Adjustable head section with breathing hole. 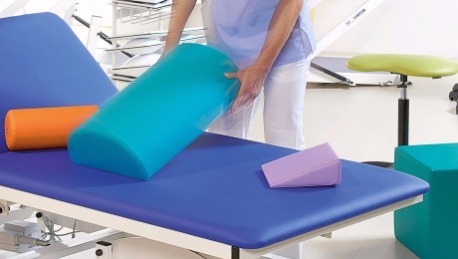 Large physical therapy tables are suitable for neurological treatments, as patients can be guided through a wide range of exercises and sensory experiences, as well as postural adjustments. The surface area can measure up to four square meters. We have developed a wide range of big size tables after 40 years of experience. We have offered a wide variety of project solutions to cope with specific needs for institutions and professional requirements. In general, the Bobath tables have different sizes and can offer different performances. They have padded sections which can be adjusted manually by means of a gas spring or by an electrical actuator.Height adjustment can be both electrical and hydraulic according to the model. Different control systems are available accordingly.The table can be set with casters and centralized brake system, as well as with side safety bands, which can be used when necessary. Colour can be chosen among the 24 choices available and it is possible to set the warming of the padded sections. 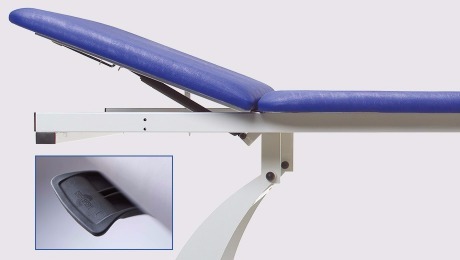 All the padded sections of our therapy tables are adjustable by an ergonomic hand control which activates one or more gas springs or an electrically motorized system. This control with a shape of a handle is an original Chinesport design element originated as a result of our constant wish to care about details. The adjustment of the sections by a gas spring is more continuous, constant and silent and can be carried out without any effort by the operator. This is a quality choice which has turned out very reliable in time. Our Bobath therapy tables can have sections of different width, i. e., width can be 100, 120, 150 and up to 200 centimetres, while the standard length is always the same i.e. 200 cm. The padded sections can be adjusted by one or more gas springs or by a second motorized unit. Especially the head section can be adjusted only in positive, or in positive and negative according to the model. The chest-legs section can be set to the "Trendelenburg position", or to a "relaxing position" with bent legs, without any tension at the psoas muscle level. It is also worth remembering that our Research & Development department is continually developing new options and accessories to achieve table configurations that increasingly meet the professionals’ individual requirements.At the same time feel free to send your specific enquiry for product customization. Benefits of heat as a physical therapy are well known and they include reduction of pain, muscle relaxation and the improvement of wellbeing of the patient. Benefits of heat as physical therapy are well known and they include reduction of pain, muscle relaxation and improvement of the wellbeing of the patient. Other benefits are the improvement of blood circulation and soft tissue extensibility. Other benefits are improvement of blood circulation and soft tissue extensibility. 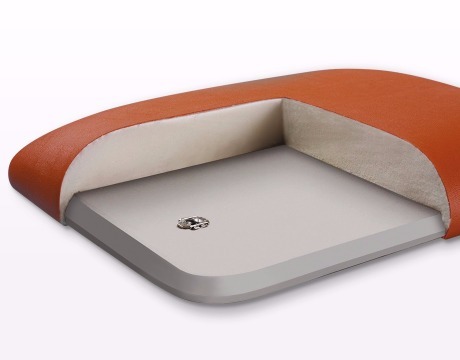 Therefore, it is possible to add a warming feature to the padded sections of our Bobath tables. 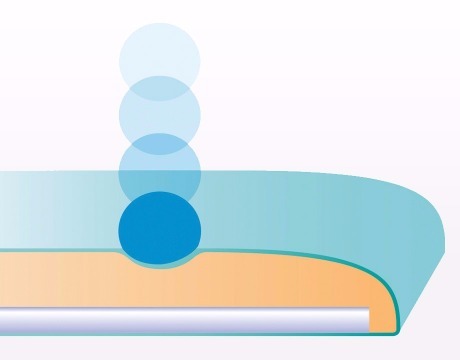 A specific control can allow the setting of two different levels of temperature. 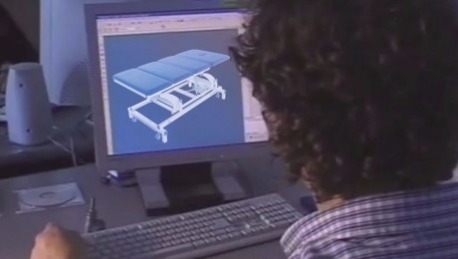 This icon, in the product features, indicates that the therapy tables can have warming functions. Please make clear in your order to be interested in having this feature. 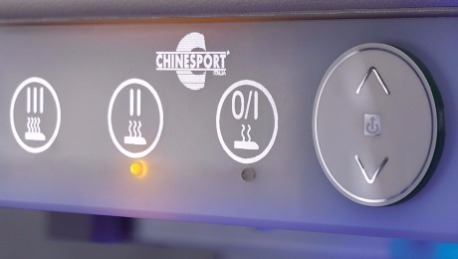 Chinesport normally uses a padding depth and density that is 40mm and 30kg/m3. However, our Upholstery Department is able to deal with particular non-standard requests. In such cases, an additional charge may be applied. Panels are secured to the frame by means of bushings.If required, these bushings can also be easily replaced when the padded section wears out or is damaged.